Last night, another dinner with Mary Stec and Richard Clark. 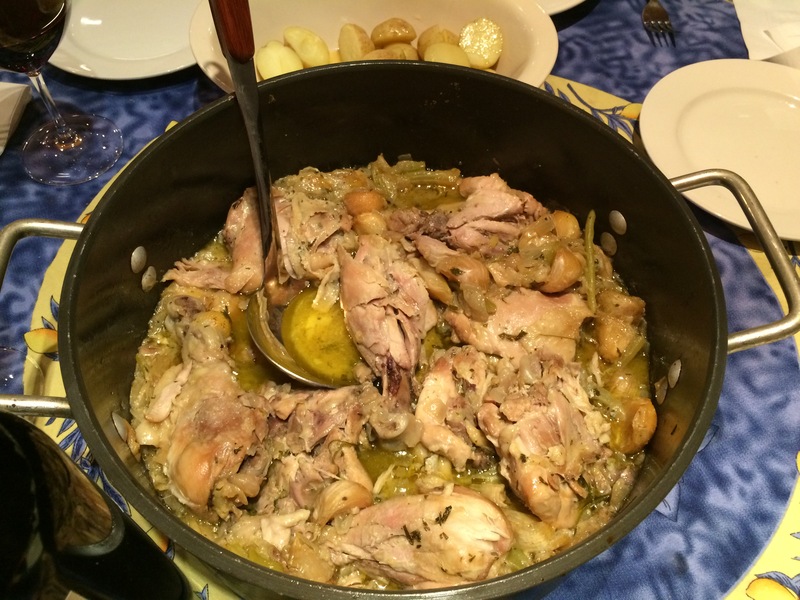 Mary made 40 Clove Chicken – AMAZING. Now all that garlic needs a big red wine, in my opinion, to make it work. It was also Dorianne‘s Birthday! So there was a rich, chocolate dessert. Quite a culinary evening. The wines were, first, a 2009 Ampelos Pinot Noir Rho (LINK to the 2010). Ampelos uses Greek letters for each of their wines. The Rho is a fairly big Pinot Noir by Santa Rita Hills AVA standards, inky color, spicy with a nice sense of terroir both on the nose and in the mouth. Hints of pepper and dark fruit bring a fullness to the flavor of this wine. It is a wine that holds up to red meat well, and the 40 clove chicken was a good pairing. 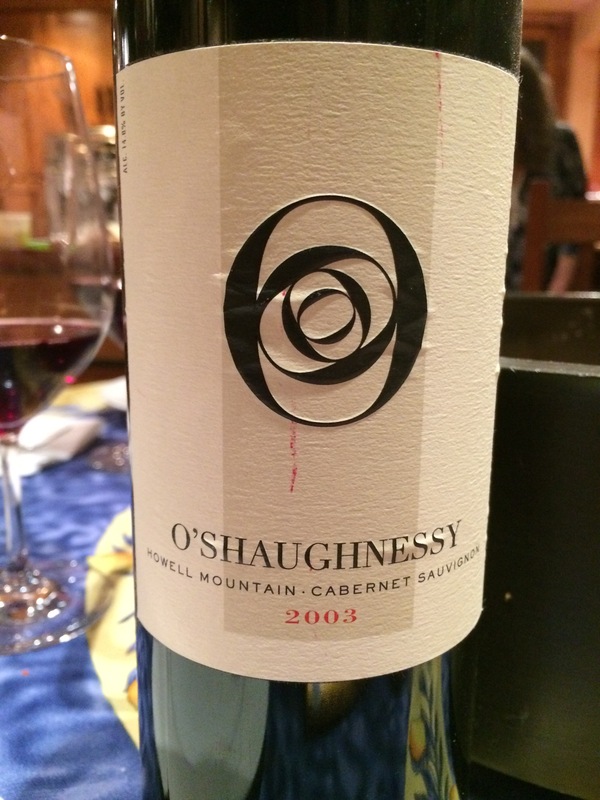 Next, we opened a 2003 O’Shaughnessy Howell Mountain Cabernet Sauvignon (LINK) that had been in the cellar for a while. Here is what Robert Parker had to say about it: “The 2003 Cabernet Sauvignon Howell Mountain has a big, sweet nose of chocolate, blueberry, black raspberry, and currants with some crushed rock and a hint of toasty oak. The wine is long, rich, pure, and impressively endowed, but strikingly elegant and complex. It is already drinking well and should age nicely for 10-15 or more years. The final blend on this was 83% Cabernet Sauvignon, 13% Merlot, and the rest Petit Verdot and Malbec. (2006)” I agree with the master in this case, and would add that the wine has aged well. The O’Shaughnessy was a good match for both the chicken laced with garlic, and the rich chocolate confection that followed. A very happy evening. It was indeed a wonderful evening. Thanks for the beautiful wine. You always hit it out of the park!